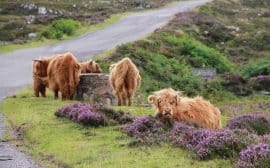 Wales is one of those places that is almost mythical in my mind. 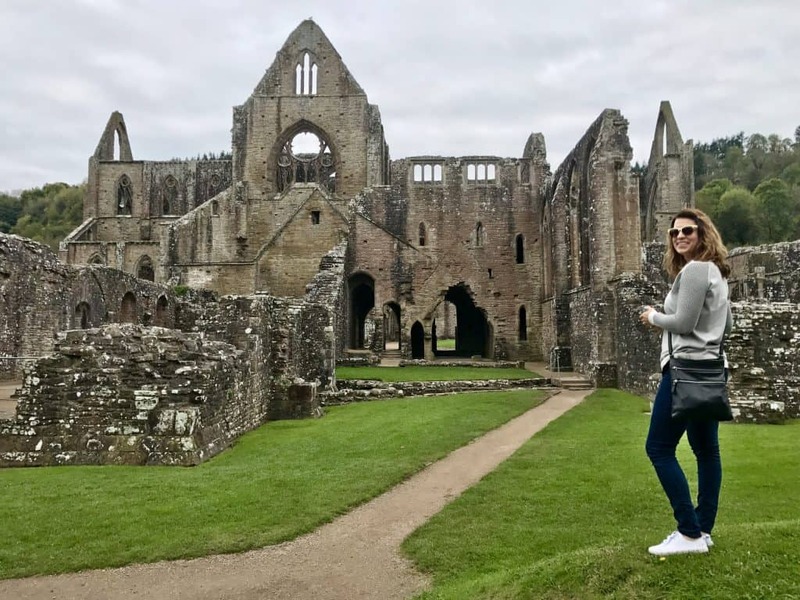 Visions of towering green hills, giant-sized looming castles, superstitions of lost kings and treasures, and centuries of epic lore danced through my head. 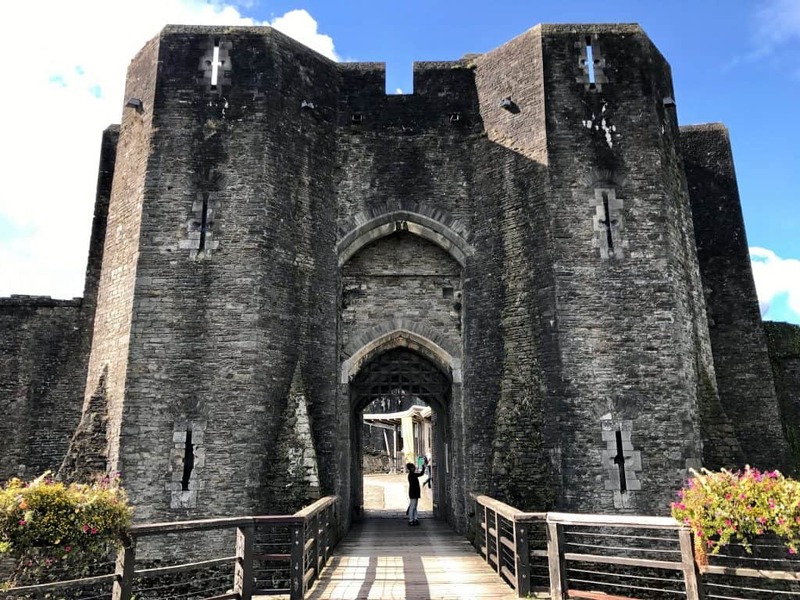 So when I knew I’d be spending a couple weeks in the south of England last year, I immediately started figuring out how I could visit Wales within our itinerary. This is one of those things that was potentially not advisable logistically, but once I got it stuck into my head, I wouldn’t let go. Why inadvisable, you ask? 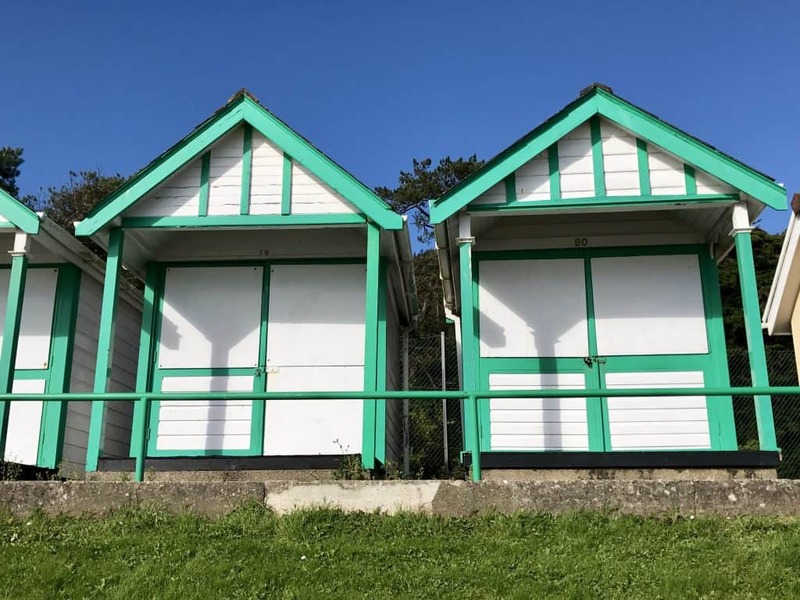 Well, the only way we could do it was as a day trip, and we were staying on the southern coast of England, in Torquay. 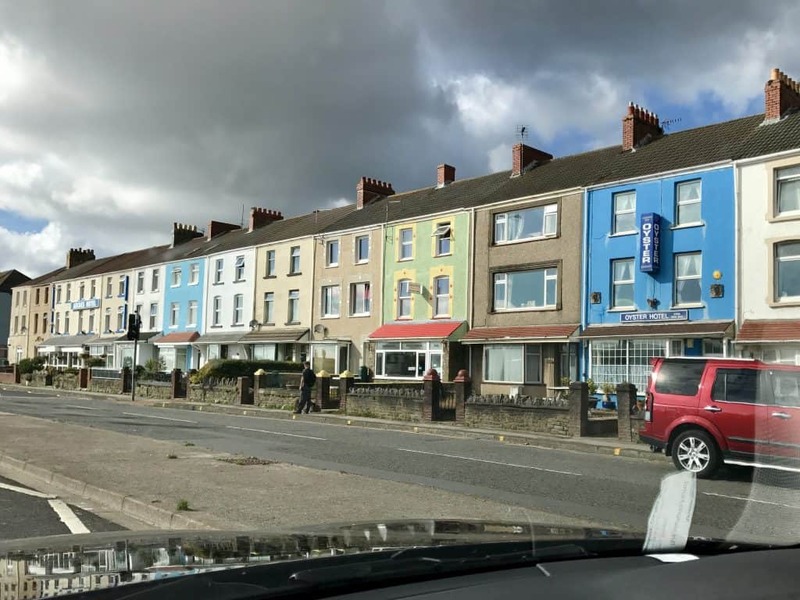 Which is not close to Wales. So most people thought we were insane. Because we were coming all the way from England’s south coast, we were limited in what we could see with just a day trip, which meant that Cardiff wasn’t possible. 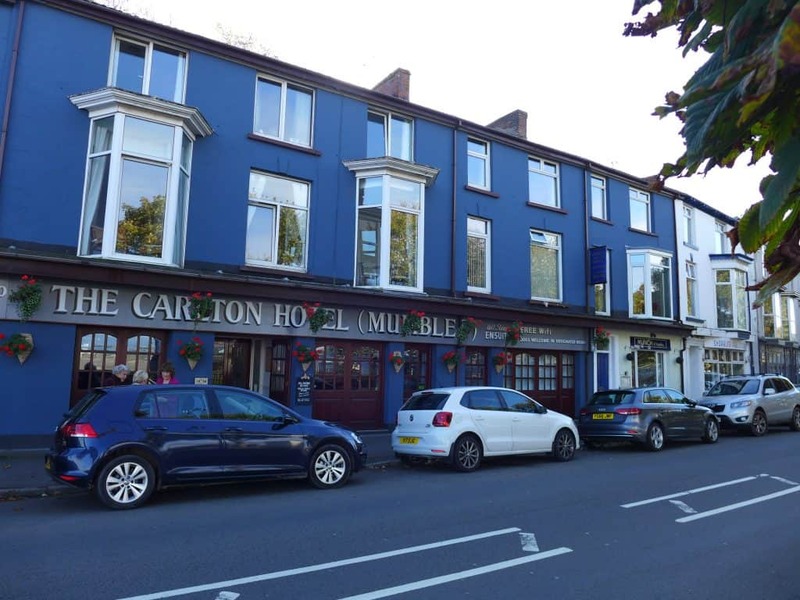 But if you can swing it I’d definitely recommend doing at least a day in Cardiff and then a day (if not more) in the surrounding area. Here’s what the driving route looks like. I mapped it from Bristol just because mapping from Torquay made the map really hard to read because it is a LONG drive. 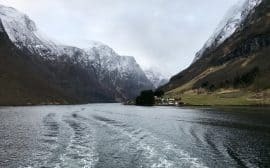 About 7-8 hours round trip from where we were staying—not a day trip for the faint of heart. But you also might be coming from London, Bath, or many other places, so the itinerary still stands. 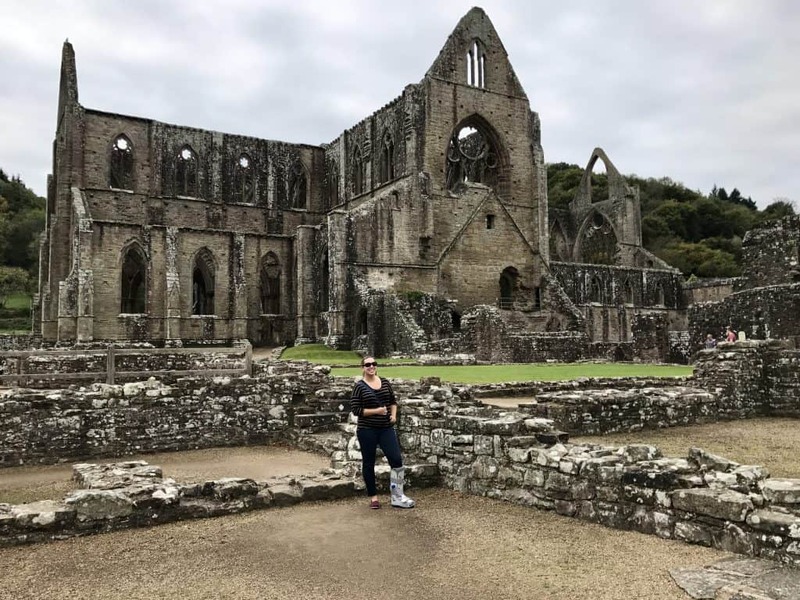 Also, hiking is a major draw in Wales, but I was in a walking cast so that was out for me. 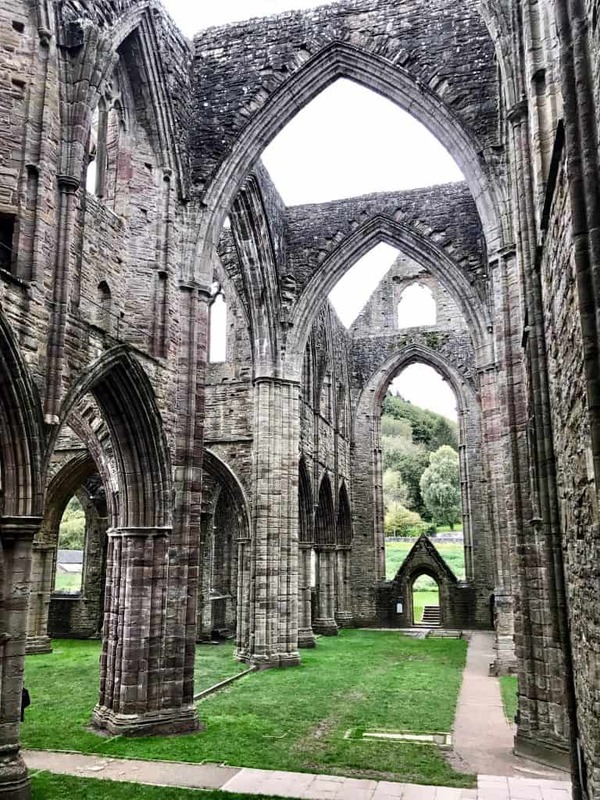 Our first stop in south Wales was Tintern Abbey, an insanely huge ruin that’s not too far from Cardiff and one of the most well-known Welsh tourist attractions. We bought our tickets at the visitor center (you can find opening times here, it was 6.90 pounds per person) and headed toward the main entrance. 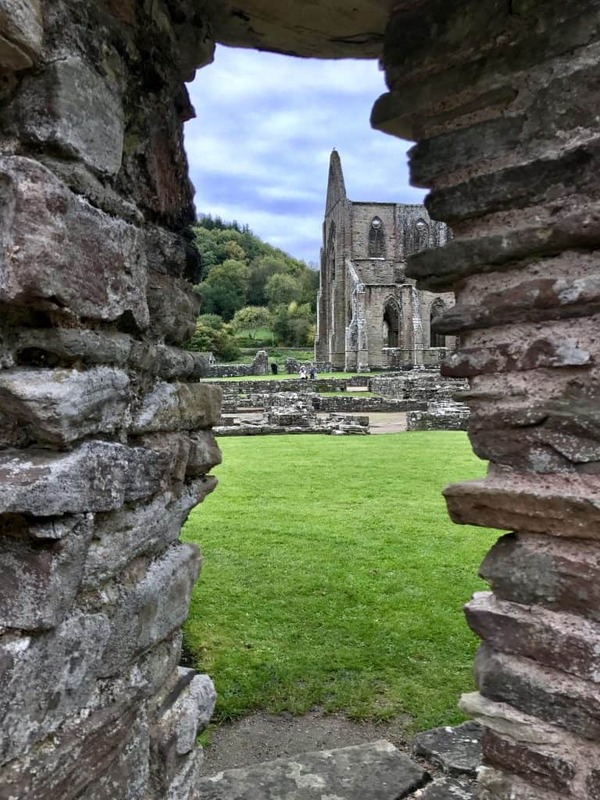 The abbey dates back to the 1100s, and the ruins you can walk through today are a mixture of parts built from the 1100s through 1500s, since pieces were rebuilt over time. I completely loved all the arches, and the pointy ends (very technical term). 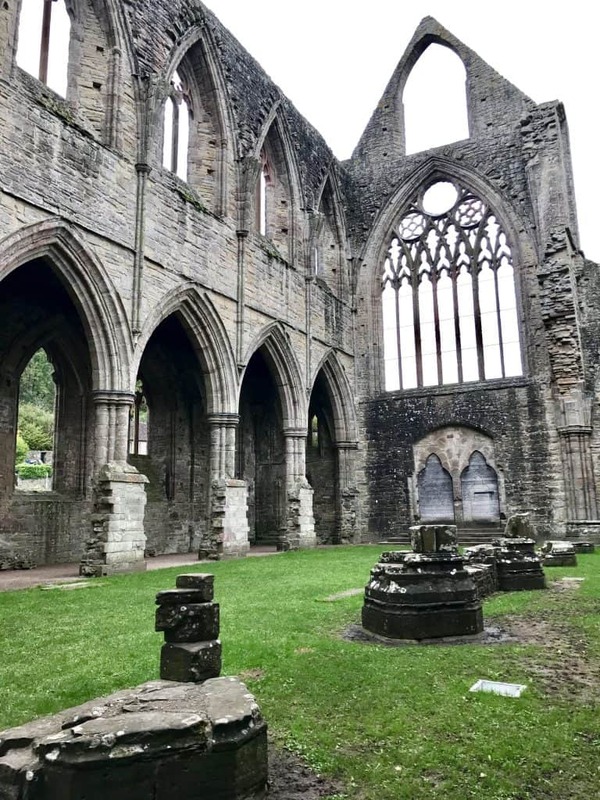 The overall look of Tintern is very up my alley. 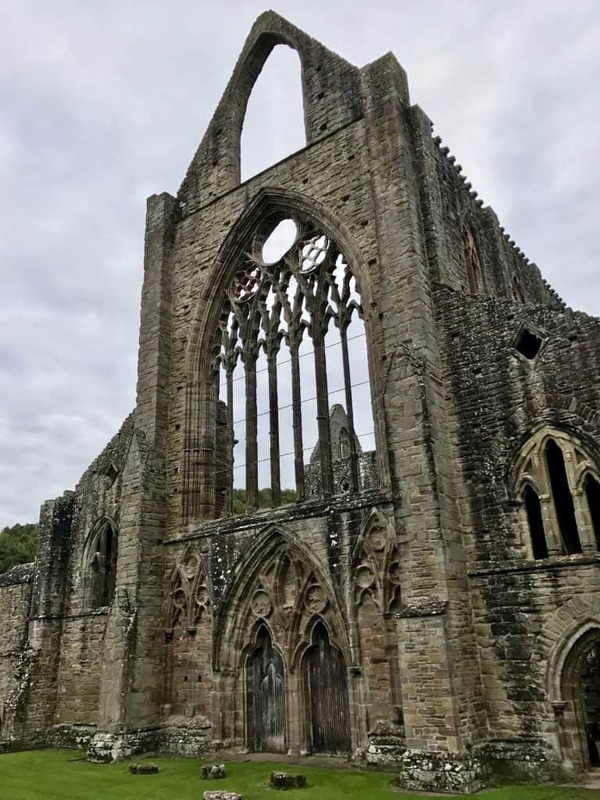 I was bummed that it was a really gloomy morning, because the abbey ruins would have popped gorgeously against a blue sky. But the overcast day did lend an air of moodiness and mystery to the stone. My favorite part of the entire day was walking through these huge intact stone arches! 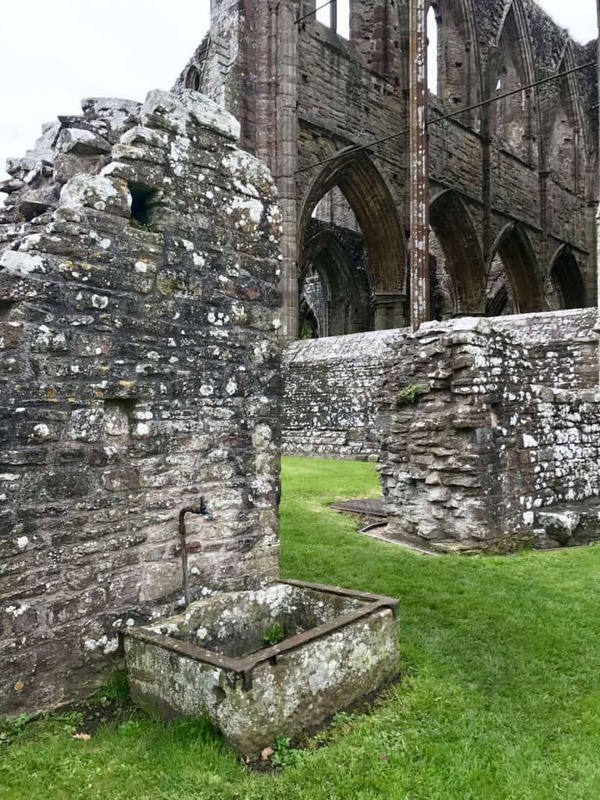 I kept wishing that my pictures could truly show how MASSIVE the abbey is. When I was walking underneath those arches, I just felt so small, which isn’t really normal for ruins. 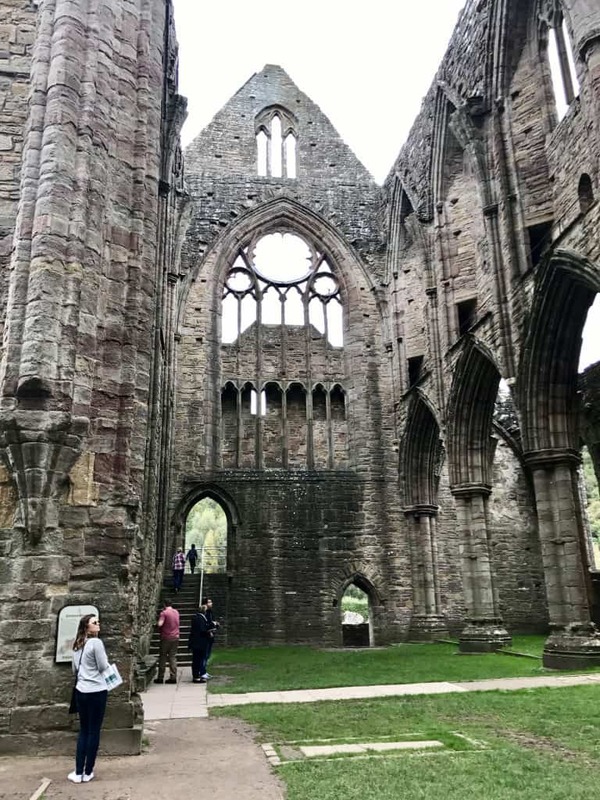 The picture below gives you a tiny taste, you can see how tiny my friend Abigail looks in relation to the walls, but even that doesn’t quite convey it. 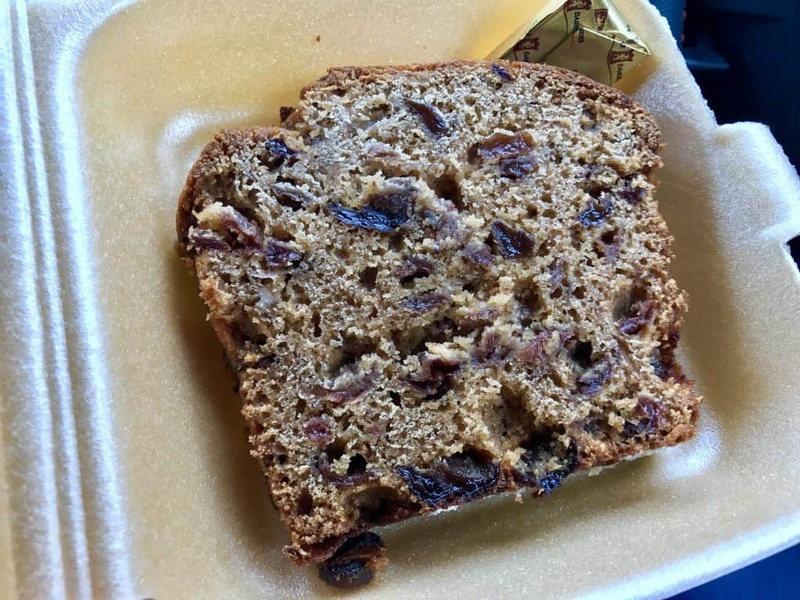 I stopped right around the corner for a coffee and couldn’t resist a slice of bara brith, a traditional Welsh fruit loaf soaked in tea overnight. A nice little pick-me-up for the road! 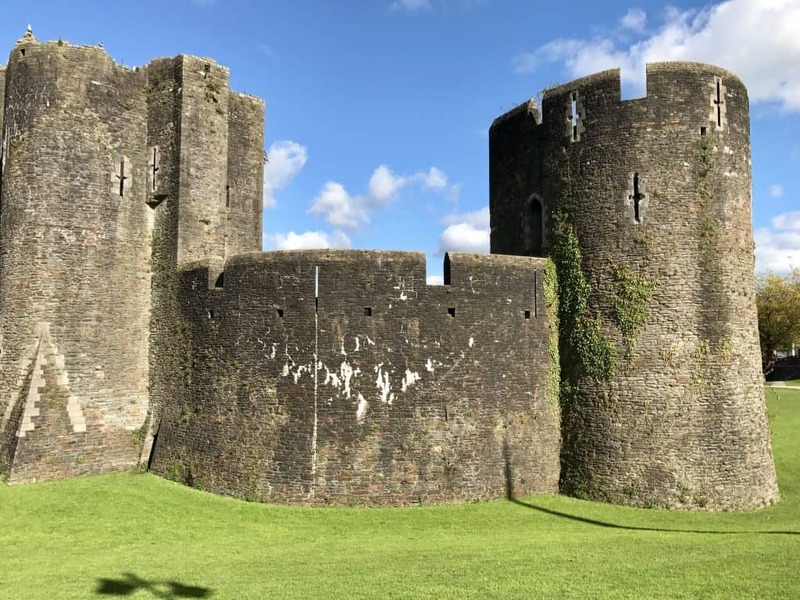 Next up was Caephilly Castle (pronounced “carefully”), which is the biggest castle in Wales—and that’s saying something since there are over 600! 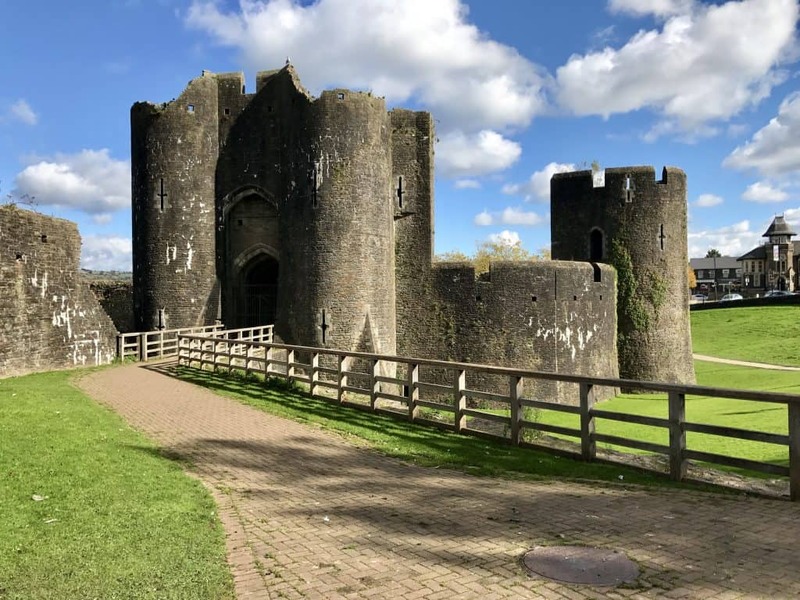 Just as we were driving into the town of Caerphilly, the sky cleared up and graced us with a gorgeous day. After getting about 300 pictures in front of the castle, we headed for the bridge and main gate. 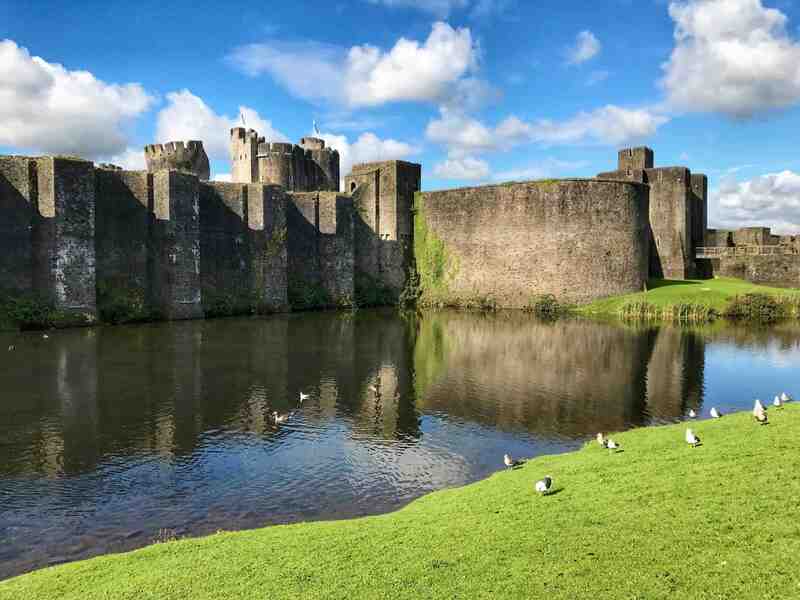 I felt like it should have a drawbridge to go over the moat. We walked through the gate into the main area where the visitor center is, but decided not to pay the admission fee and go in further (you can see opening times here, cost is 8.50 pounds per person). 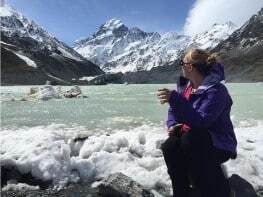 We were running short on time and had enjoyed looking at the outside enough to feel it was worth the trip. 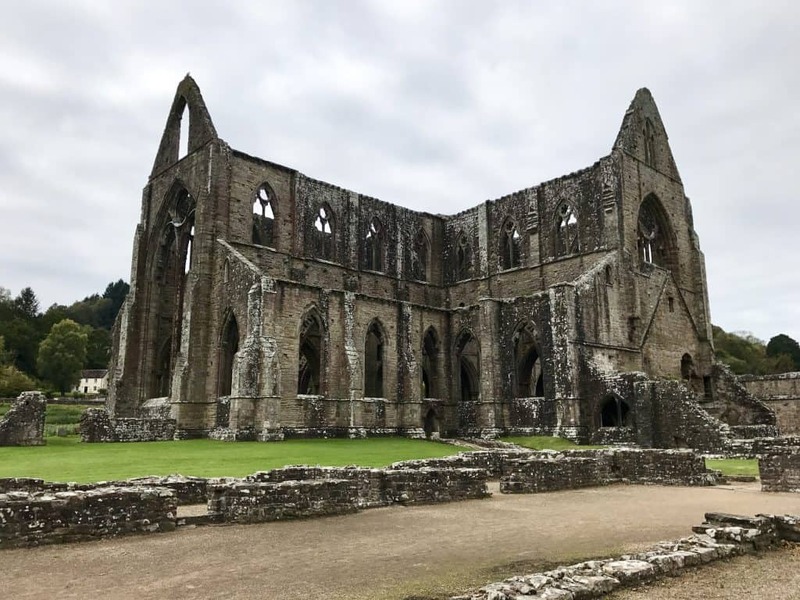 The castle was constructed in the 1200s during the Anglo-Norman expansion into Wales by Gilbert de Clare—I assume some relation to Walter de Clare who founded Tintern Abbey. 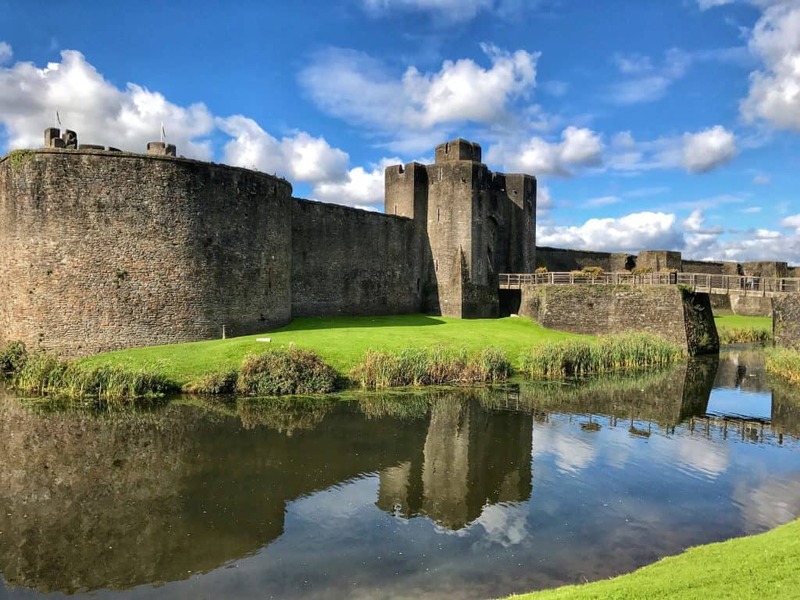 It was built to be used as a fortification while Gilbert de Clare was trying to conquer the area. 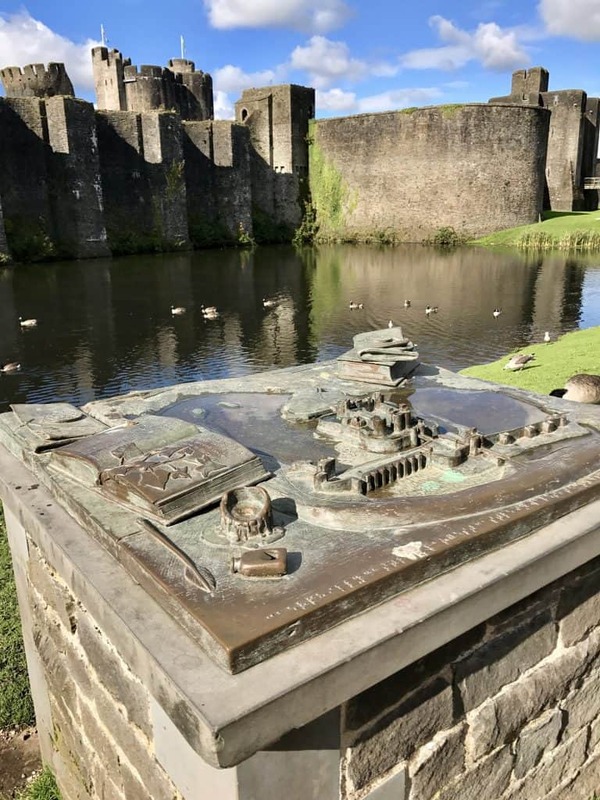 It saw a lot of fighting between his people and the native Welsh rulers, who all have about 90% consonants in their names, like Llywelyn ap Gruffudd. 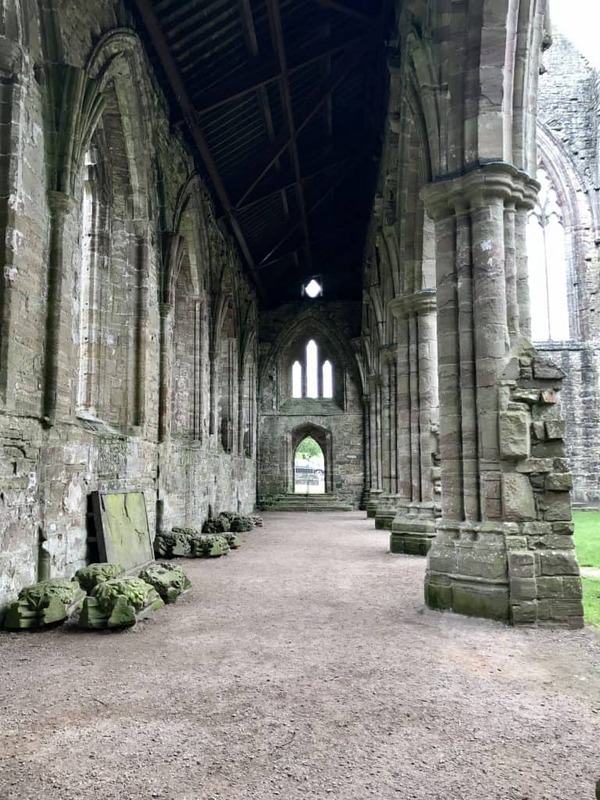 You can definitely see the Norman influence in the style, including the battlements for defense and those cross-shaped window slashes for archers to shoot through. Make sure you walk around the back and side as well, there’s a lovely little park and walking path that gives you nice views. 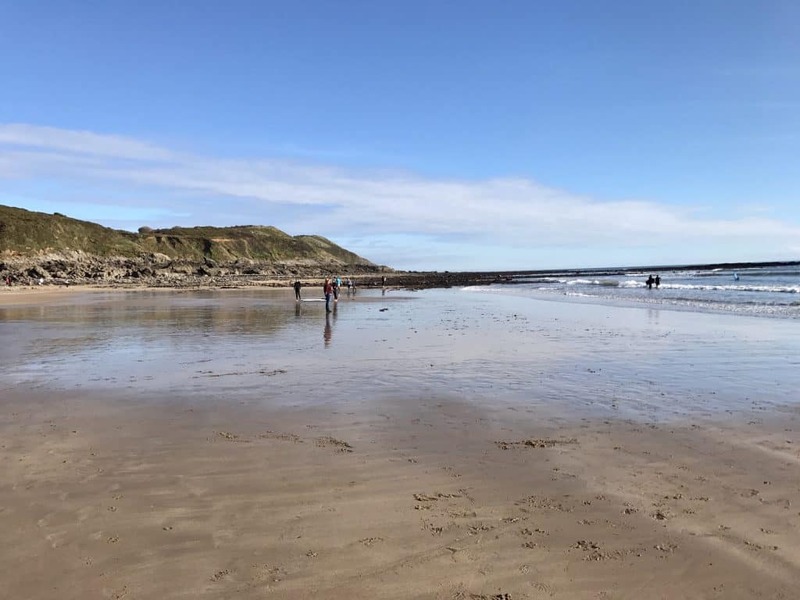 It was early afternoon at this point and we were definitely running short on time, but we really wanted to experience just a taste of charming Swansea and the Gower Peninsula. 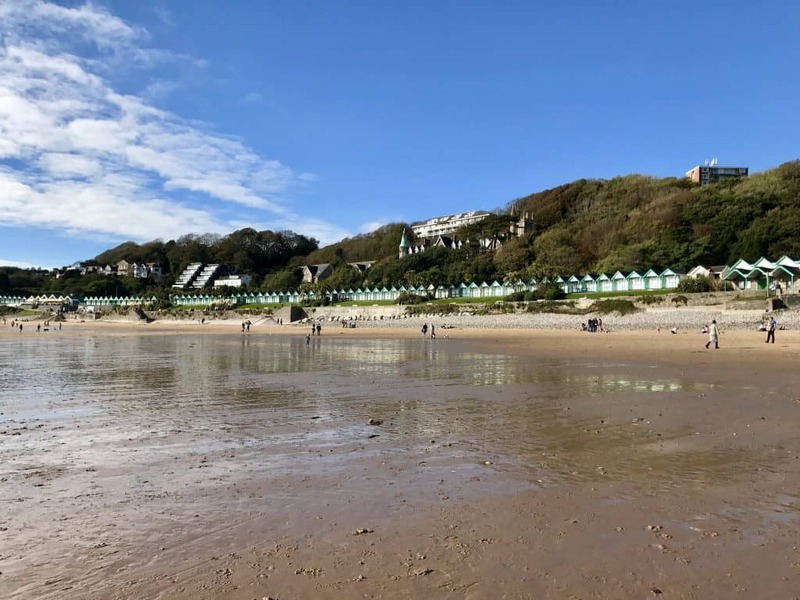 There are tons of super cute, colorful seaside towns all along the south Wales coast, but we were decided to stop at Langland Bay since it was highly recommended and not too out of way. 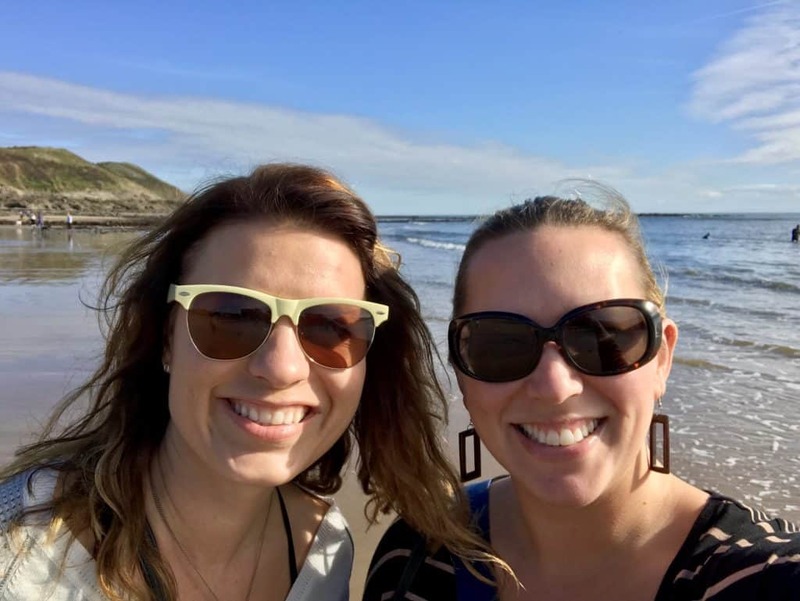 We parked and walked all the way down to the water…since the tide was out, this was QUITE a long walk for me! 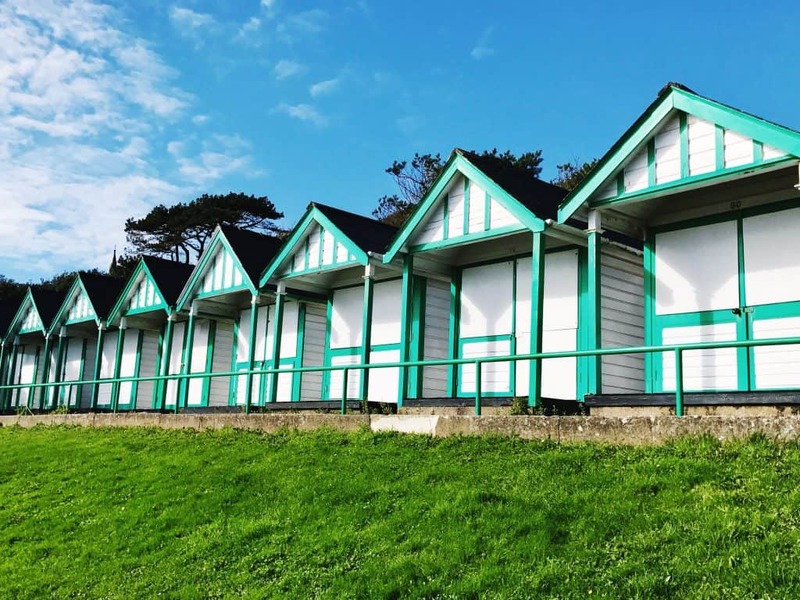 These little beach huts were so happy and bright! 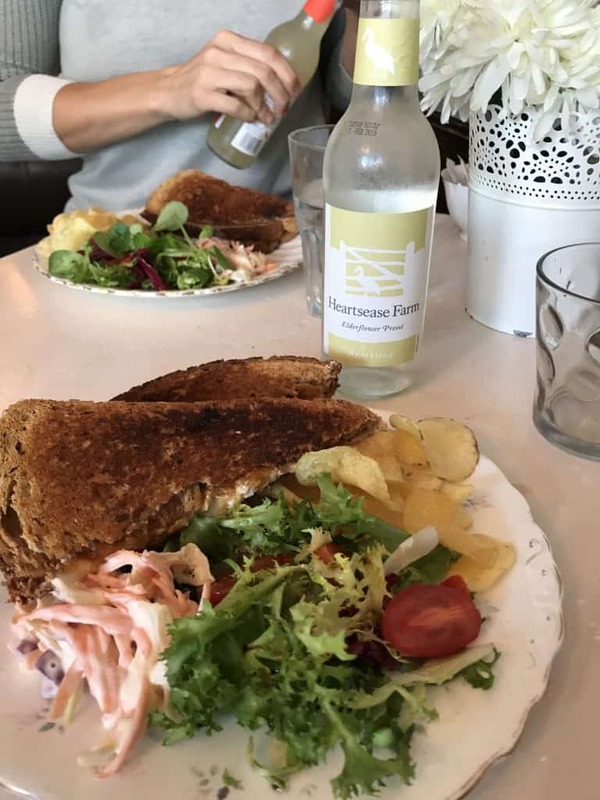 We needed to get back on the road toward Torquay, but wanted to stop for a bite to eat so we found parking in Mumbles and popped in to a super cute tea room called The Front Room. 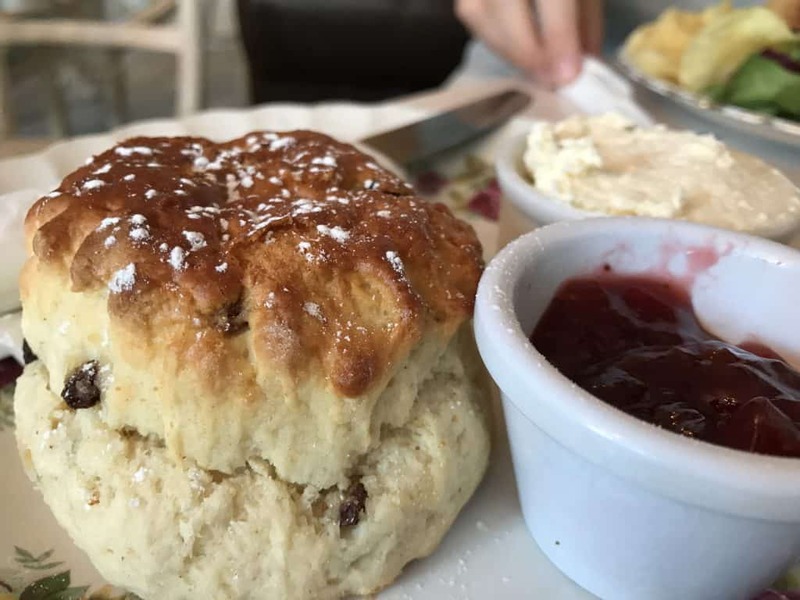 We had scones and cream and jam and toasted sandwiches to tide us over on the long drive back to our hotel. If you’re in the area, make sure you stop in there! 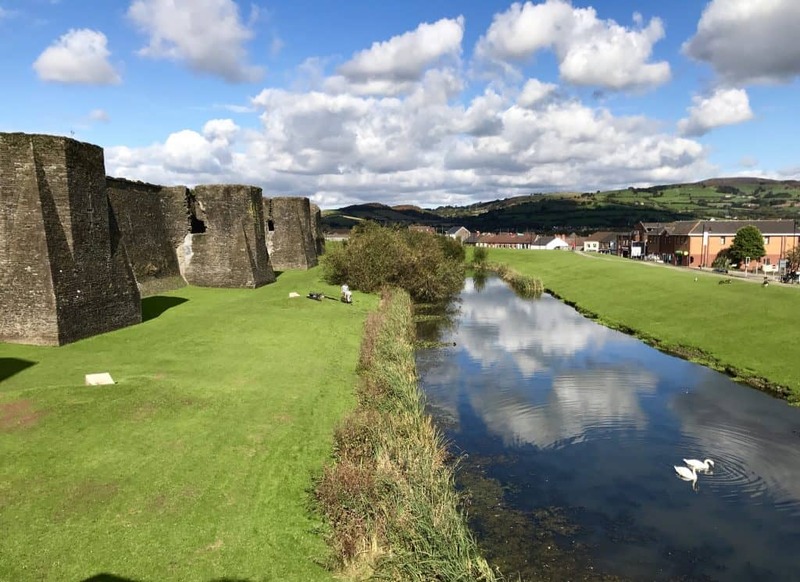 This area (Swansea) would be a great, central place to base yourself to spend a few days in Wales, because you could explore south Wales easily but also get over into the gorgeous, dramatic national parks in mid- and north Wales. Or you could just enjoy the beaches. 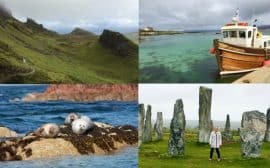 Definitely worth some time if you can fit it into your itinerary. 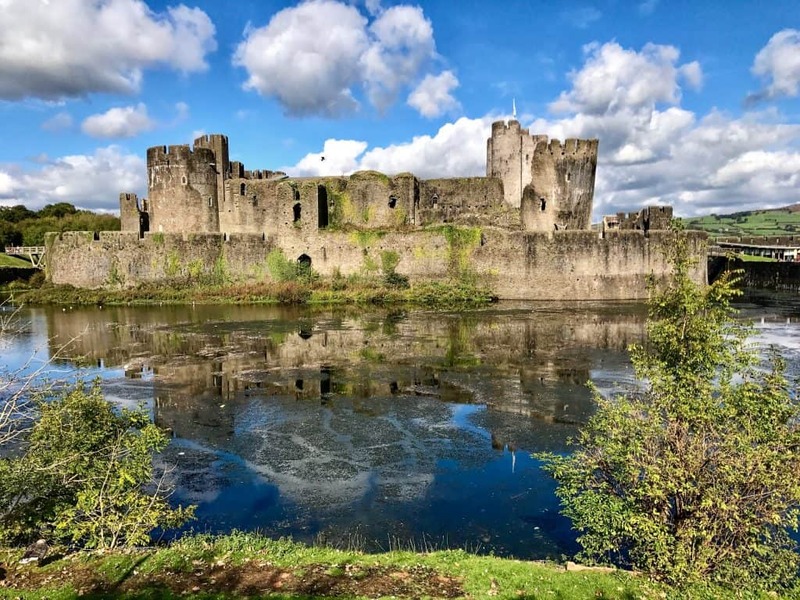 Hopefully this has inspired you to spend a bit of time in Wales yourself! 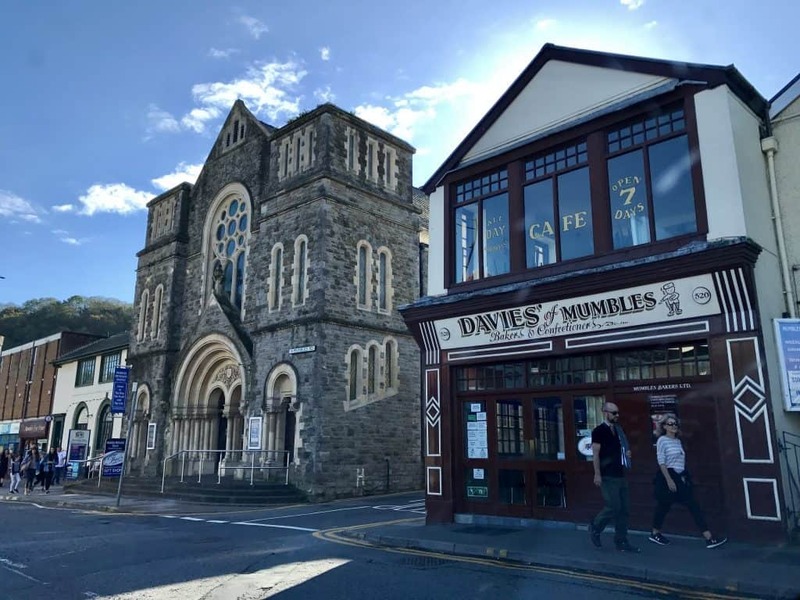 I did a ton of research on all sorts of places to visit all over Wales, so drop me a note below if you’re in the planning process and I’m happy to share! 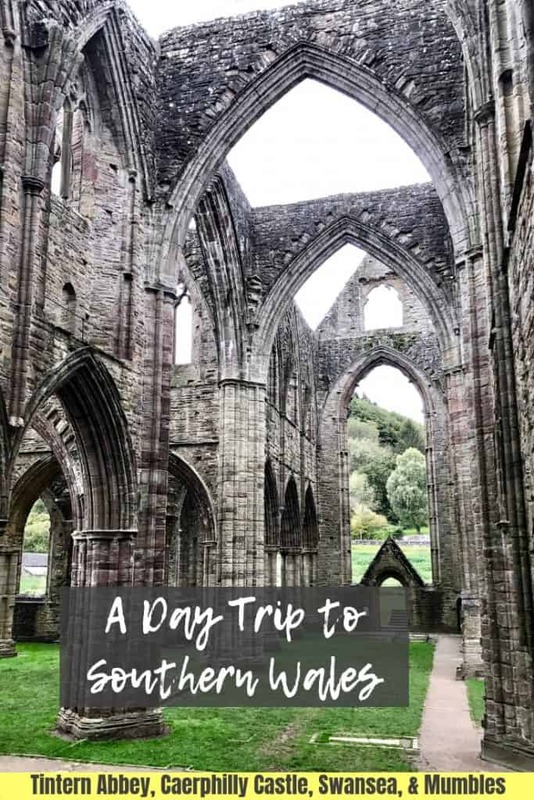 Great choices of places to visit in South Wales! I would never have chosen to do that as a day trip from Torquay, but good going and nice one on fulfilling your travel dreams. Sounds like when you get an idea in your head, you go for it! 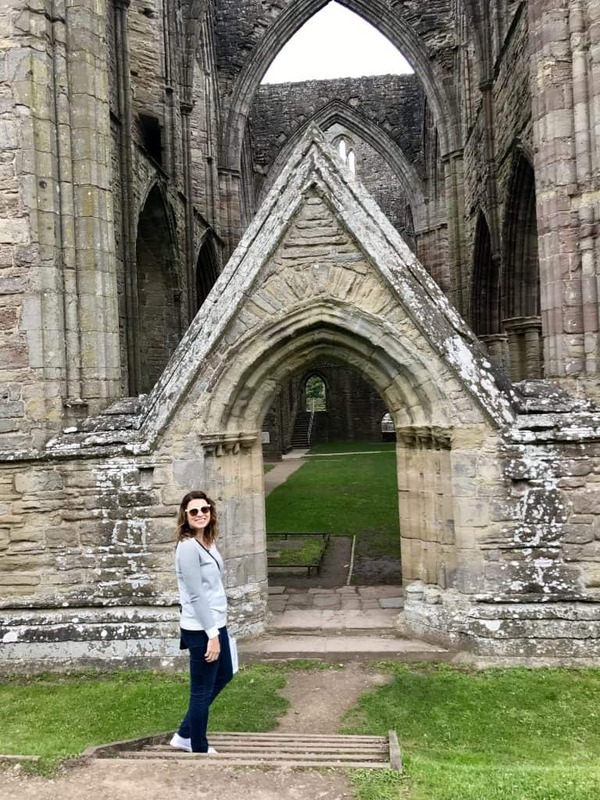 There are so many great places to visit in S.Wales and although I’ve visited many times, I’ve still never got to Tintern, so 2019 – I think I need to add it to my list!! Thank you! 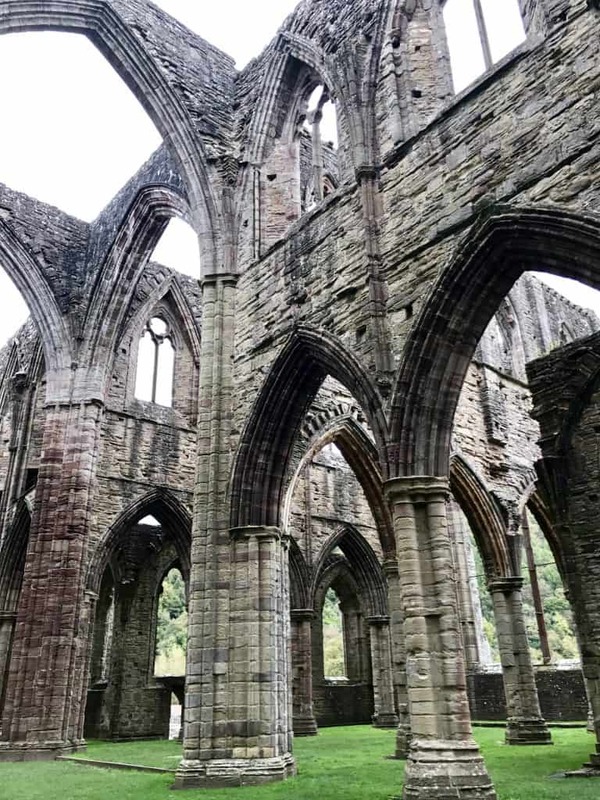 Oh wow, you definitely have to get to Tintern…it’s just unbelievably massive when you’re standing inside! 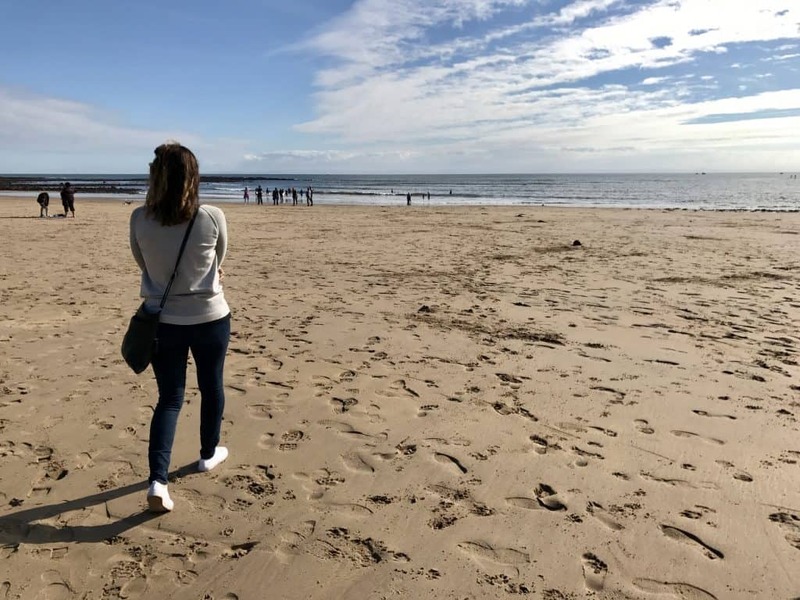 I definitely agree that a day trip to Wales from Torquay isn’t ideal, though I also grew up in Kansas where driving 10+ hours in a day to get somewhere wasn’t unheard of. But it was a long day!